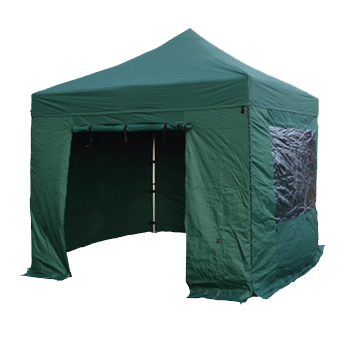 ﻿The Clubman instant marquee (which can be set up in less than 5 minutes) is made from high quality powder coated steel frame with a 270g waterproof polyester roof canopy. 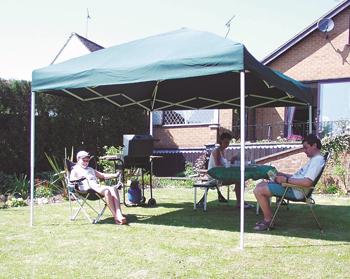 A new feature to the popular clubman range is the swift shade canopy that has an inner aluminium coating that gives low light penetration, better light reflection and also increased protection from ultra violet. The unique frame design with triangulated corner struts (for increased strength in windy conditions), is a unique feature to the Clubman range. 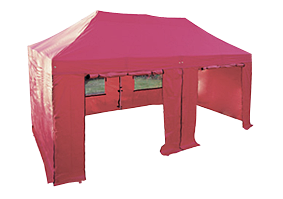 A combination of strength, simplicity and excellent value for money That can be easily transported. There are many inferior copies to our design of the popular Clubman range that are priced very cheaply... infact to cheaply! Corners have been cut to save on manufacturing costs which means the marquee will not last or be as waterproof as it should - and of course no parts replacement or service. If its cheap its not value for money, if its not value for money it costs more!